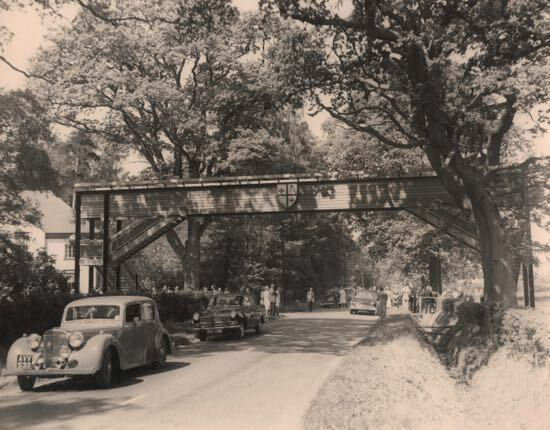 For approximately 30 years, a footbridge, privately built for Queenswood school, spanned Shepherds Way, North Mymms. 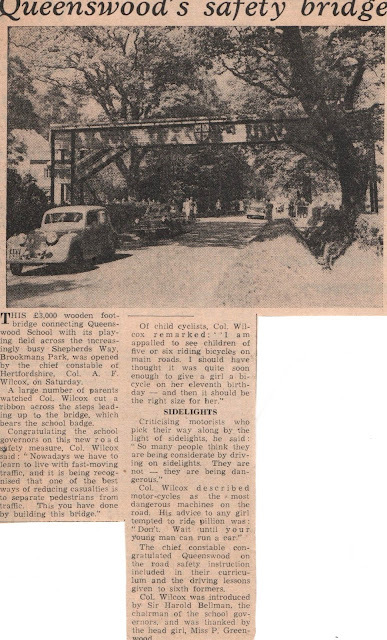 The bridge provided a safe passage for pupils and staff from the school on the south side of the road to the playing fields on the north side. It was located near the current entrance to the car park. Today only the concrete foundations on the north side of the road survive. 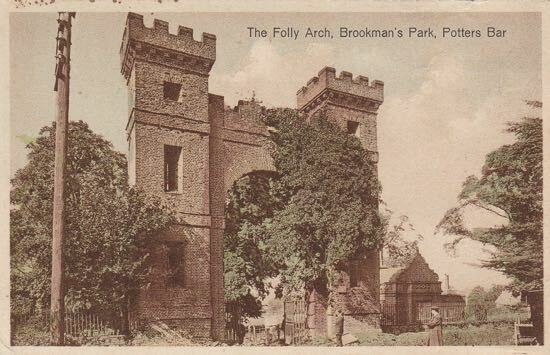 The footbridge was adjacent to what is now the car park entrance to Queenswood school. The school commissioned Taylor Woodrow (Exports) Ltd to construct the bridge, probably in 1959. On the 13 January 1960 detailed design plans were drawn by Rainham Timber Engineering Co. based in Rainham, Essex. The 66’9” span bridge was principally constructed from engineered laminated European softwood beams and stanchions, yellow cedar and keruing staircases, and was clad in western red cedar. 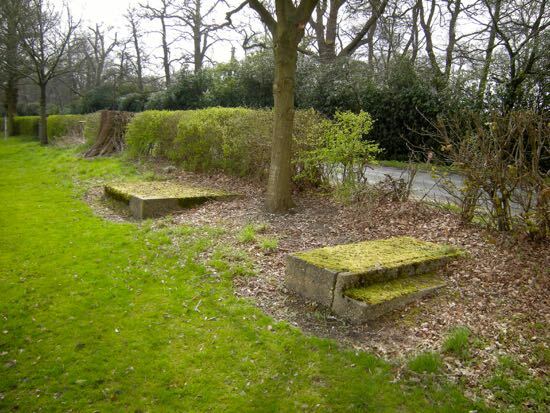 Further plans detailing the base plates were drawn on the 23 January 1961. The bridge, which cost £3,000 (about £69,000 at 2019 prices), was completed later that year. It is likely that the bridge was pre-fabricated off site by Rainham Timber Engineering and the construction was undertaken by Taylor Woodrow. 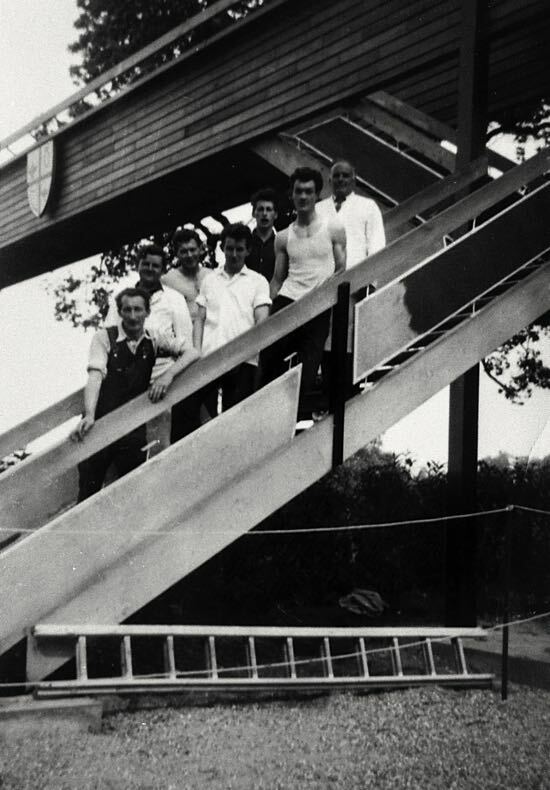 The final timber cladding may have been undertaken by local Welham Green builders Shadbolt & Nash whose workers feature in the photograph below. 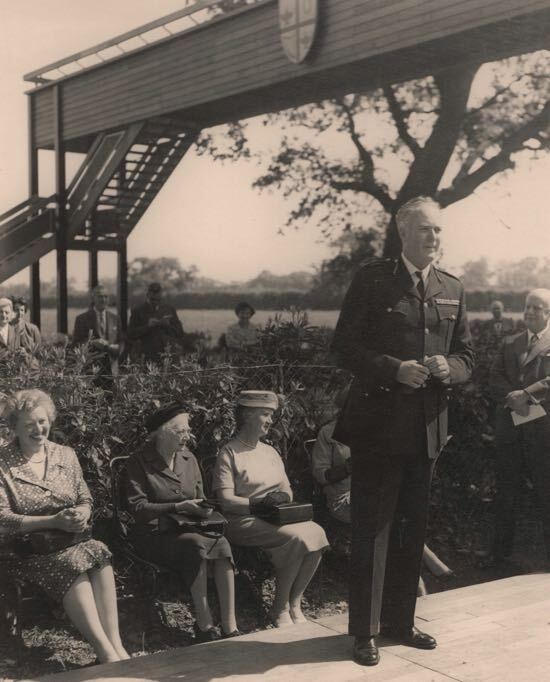 An inauguration ceremony attended by a large number of parents was held on a Saturday (exact date unknown) in 1961 with the chief constable of Hertfordshire, Colonel A.F. Wilcox, cutting the ribbon across the steps leading up to the bridge. He was introduced by Sir Harold Bellman, the chairman of the school governors, and was thanked by the head girl, Miss P. Greenwood. It is not known, at the time of writing , exactly when or why the bridge was dismantled, although it is known from Ordnance Survey maps that the bridge was still extant in 1989/1990.